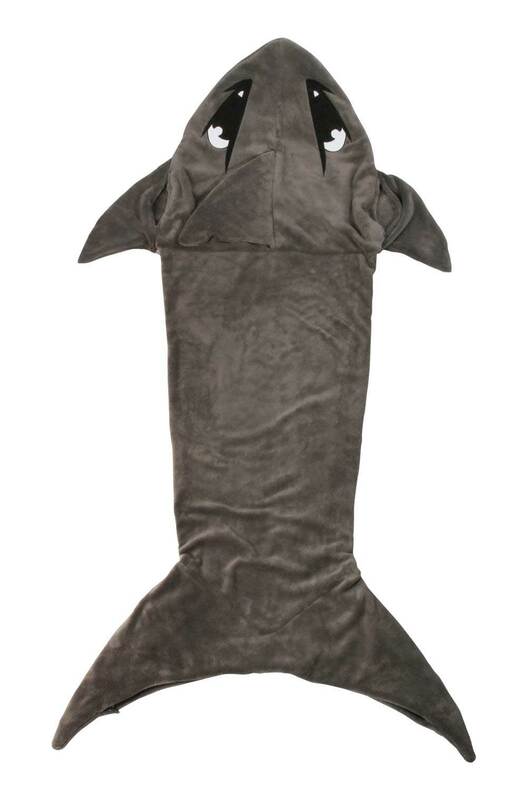 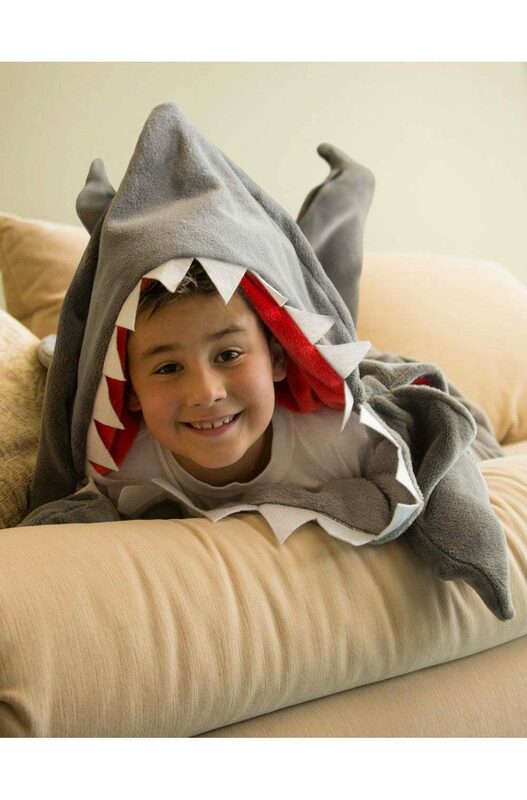 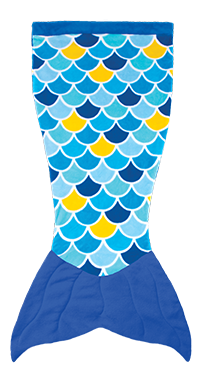 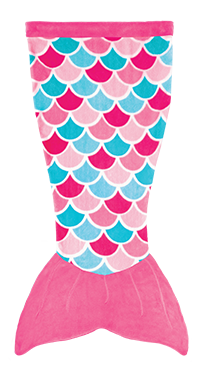 Your child will go wild for Fin Fun’s hooded Chomps Cuddle Tail! 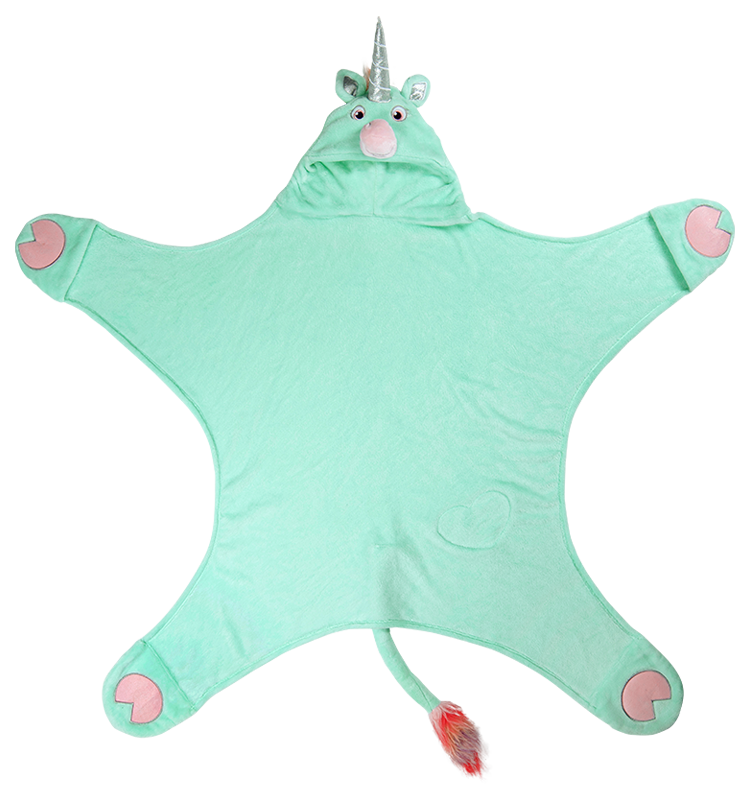 Our super soft and cozy blanket tail features shark teeth and eyes made from ultra-strong felt – the sturdiest, most durable felt on the market. 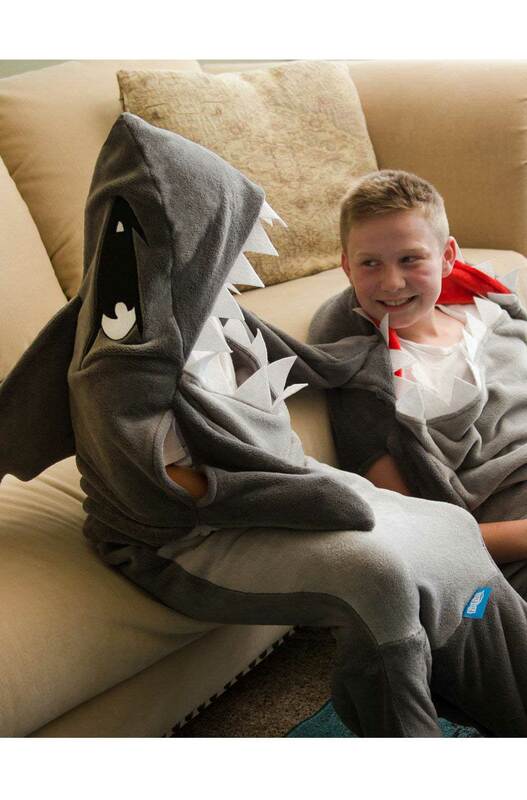 The padded shark fin gives it a realistic style kids will love! 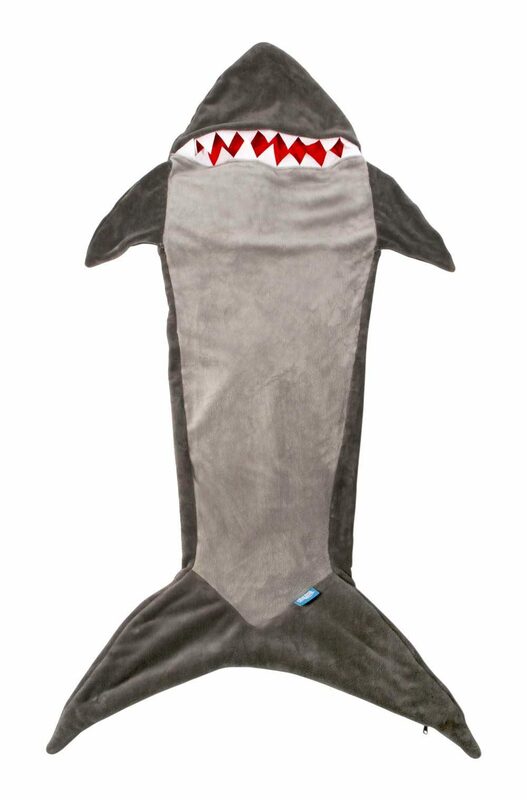 Your child can even put their hands in the sharks’ side fins for extra fun! 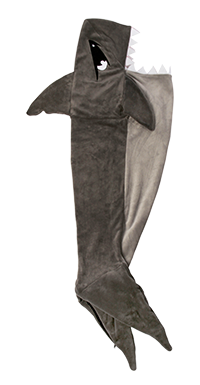 Built to last, this Cuddle Tail is an imaginative way to stay warm. 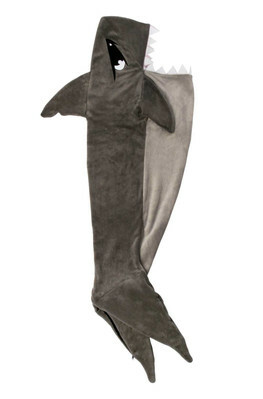 This product is available in two convenient sizes. 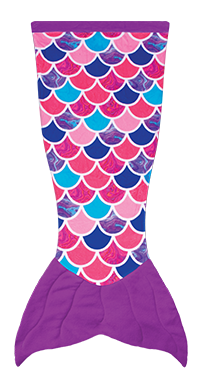 Plus, bring it to your next sleepover in a FREE nylon carrying bag!